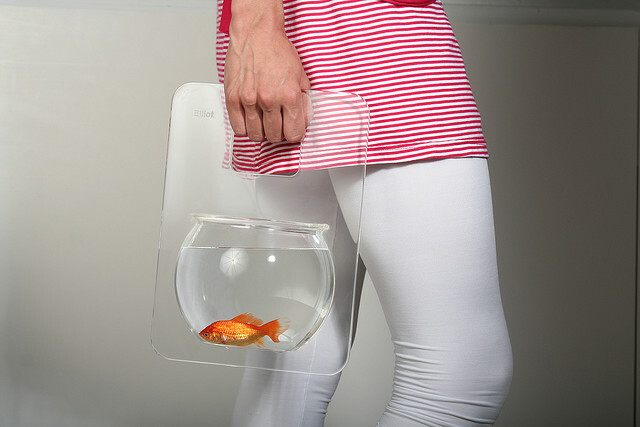 Portable Fishbowl: Its the creation of design student Michal Shabtiali; it's a fishbowl with a handle. 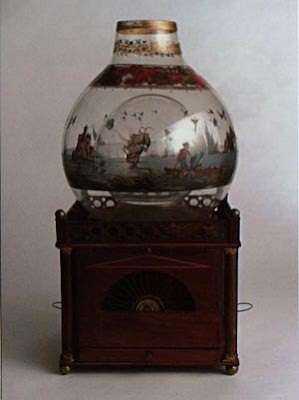 19th Century Fishbowl: An interesting pairing of birdcage with fishbowl. 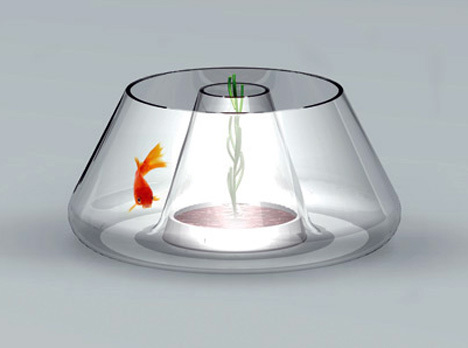 The bird can rise up in the bubble inside the fishbowl creating an illusion that the bird is in the bowl with the fish. 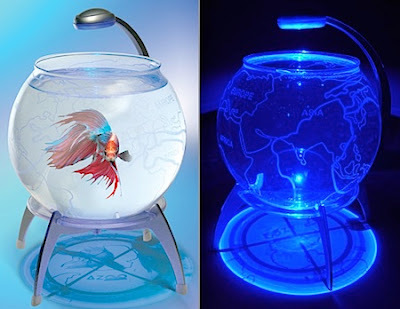 Earth Globe: It's a combination of fishbowl and decorative light; when it's dark, the fishbowl turns into a cool electric blue map of the earth. 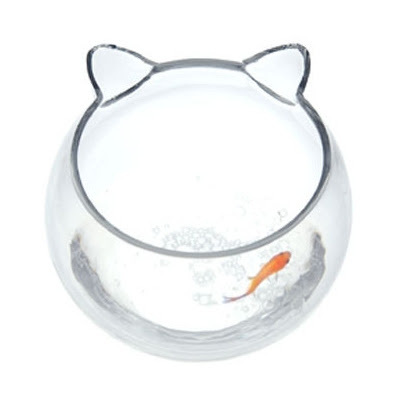 Cat Fishbowl: This one got an adorable design. 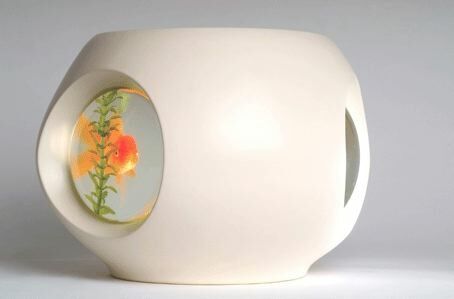 O Aquarium/Vase: The O aquarium is a creation of the renowned Murano glassmakers Salviati; it doubles as a fish bowl and a vase! 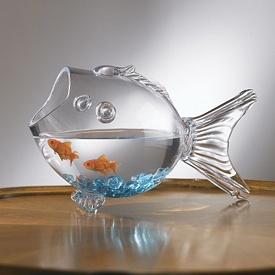 Arguer Fishbowls: These come from the collection created by R Arguer; the collection is quite interesting from the double-bowl design, to the fish bowl/vase. 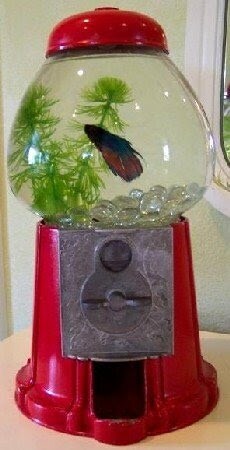 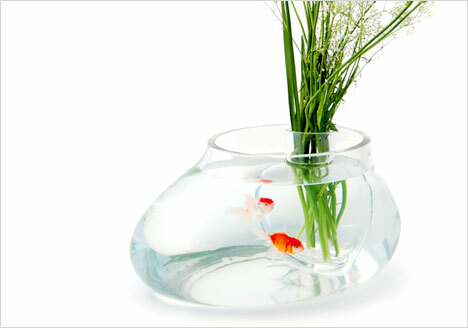 Fish Shaped Fishbowl: A creative way to display your fish. 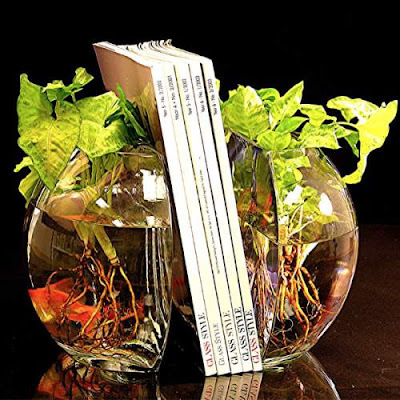 Fishbowl Bookends: These creative bookends are halves of fish bowls that doubles up as aquariums or décor pieces. Gumball Machine Fish Bowl: Fish bowl made from a vintage gumball machine. 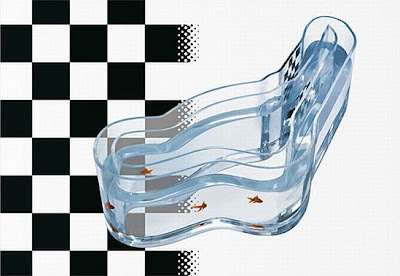 Speedfish Bowl: Inspired by racing circuit, an interesting fishbowl design from R'Pure. 1984 Fishbowl: Designed by Sydney-based Danny Cheung, it was inspired by and takes its name from the novel "1984" by Orwell. 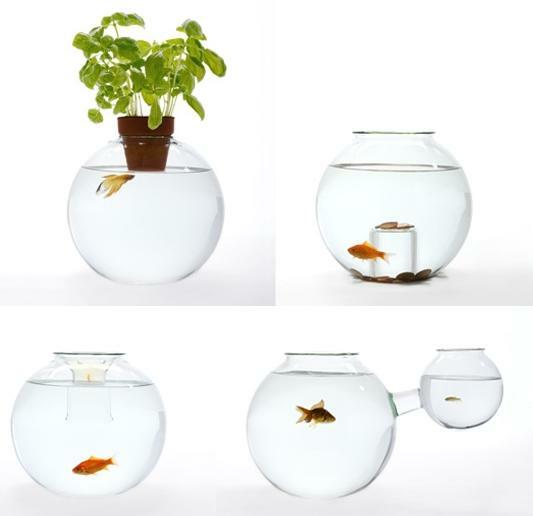 Doucet Fishbowl: It's a combination of fish bowl and plant holder. 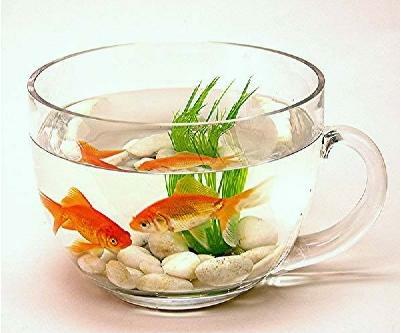 The two are joined together as one but separated at the same time and the surrounding bowl can hold a goldfish while the inner holder can be used for placement of any type of plant or flower of your choice. 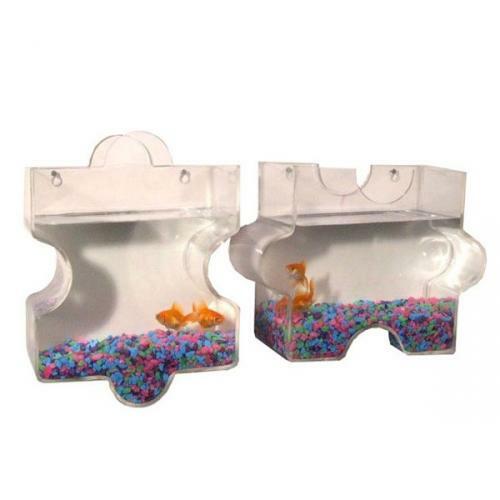 Puzzle Fishbowl: Just put these acrylic fishbowls on your wall for decoration and to save space.